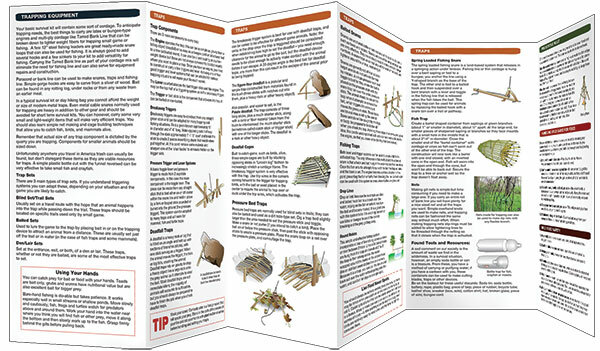 The ability to trap food could be a critical factor in keeping you alive in a survival situation. Knowing the types of species that can be found in the area, having a good understanding of their behaviors, knowing which traps will work on which animals and knowing how to build them are the keys to success. 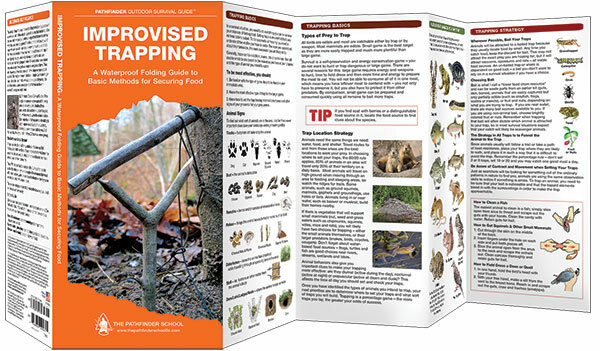 This waterproof guide covers trapping basics including targeting prey areas, setting sign posts, proper baiting, and how to create effective traps using basic knots and simple triggers. Developed in collaboration with noted survival expert and master woodsman Dave Canterbury, this is one of a 10-part series on survival skills. Made in the USA.